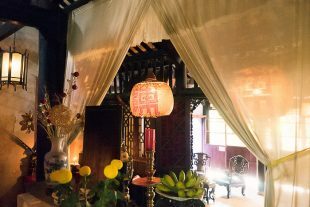 Hoi An began life as a port for Chinese traders, the more successful of whom built stately city homes for their families. 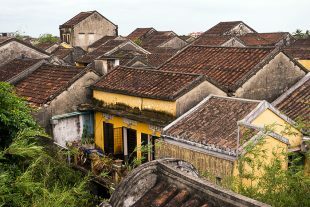 Many of these ancient houses have survived the trials of time, flood and war, and can today be visited as part of Hoi An’s ticket scheme. 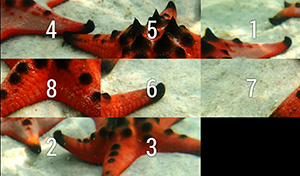 We made it to five. Just across the Thu Bồn River river from Hoi An, Cam Kim is an island known for its traditional crafts and quiet way of life. We spent a morning biking around the island, enjoying the escape from Hoi An’s crowds. 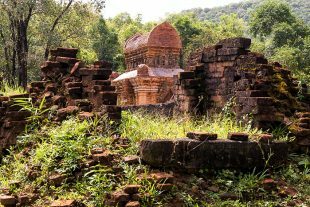 About an hour southwest of Hoi An, is the archaeological site of Mỹ Sơn: the religious and ceremonial center of the Champa people, who once ruled central and southern Vietnam. 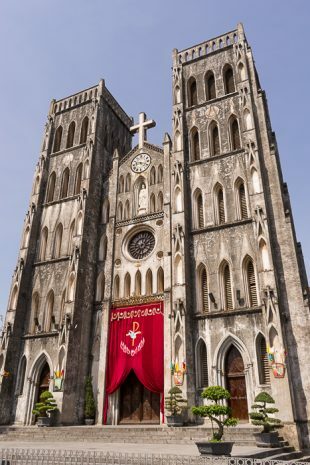 With ruins dating between the 4th and 13th century AD, no less an authority than UNESCO describes the monuments of Mỹ Sơn as “unique and without equal in Southeast Asia”. 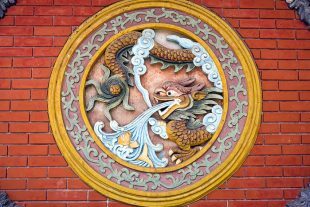 The small city of Hoi An, just south of Danang, was once Vietnam’s principal port of trade, and one of the most important in all Asia. Those days are long past, but the town’s rich history is kept alive in the ancient quarter. 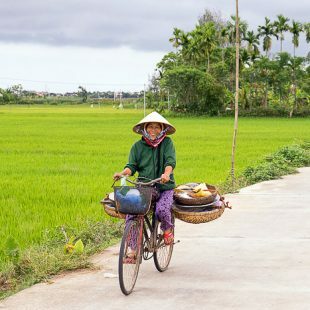 Houses, communal halls, temples and bridges have remained in miraculous condition, and today, Hoi An is regularly hailed as the most beautiful city in Vietnam. We’d be spending a week here. 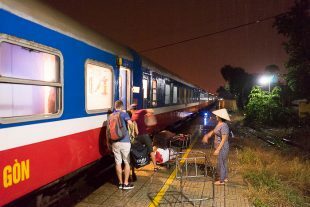 Toward the end of April, we went to the station in Saigon and boarded the Reunification Express, a train which connects the two capitals of the once-divided Vietnam. But we wouldn’t be taking the train straight to Hanoi, a journey which would require 34 hours. 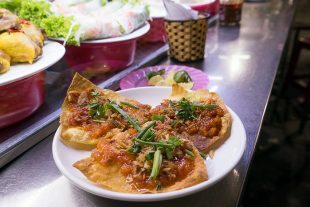 No, we’d be taking it in stages, stopping off in a number of Vietnam’s most historic cities. First stop: Danang.